Below is an archive of microblog posts I sent to the New York Times' Cuba Page in 2010. I took part in a Times experiment that enlisted outside experts to help keep readers up to date with events in Cuba. Click here for 2009 contributions. Dec. 10, 2010 2:16 PM ET: Cuban dissidents plan protests and marches today to mark International Human Rights Day. Pro-Castro demonstrators in Havana on Thursday shouted down members of Ladies in White, made up mostly of relatives of political prisoners. Nov. 30, 2010 4:04 PM ET: Cuban authorities detained an American development worker one year ago Friday Dec. 3. 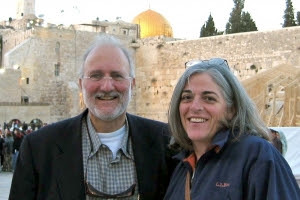 They accuse Alan Gross, 61, of Potomac, Md., of spying and bringing in illegal communication gear. He wife told a Florida newspaper he "kills time with musical jam sessions with his jailers and by mapping out an economic recovery plan for the country that has held him without charges." Nov. 17, 2010 4:24 PM ET: At least 10 employees of a nickel processing plant have been detained in Cuba as part of a corruption investigation, two dissidents report. Their purported misdeeds are linked to the "disappearance of vehicles and spare motors" and the receipt of uncommonly high salaries - "$1,500 to $2,000 a month in a country where the official average monthly wage stands at about $20." Nov. 11, 2010 4:55 PM ET: Cuba's Communist Party has set a key meeting for April 2011, nine years behind schedule. "The party congress is supposed to be held every five years but has been repeatedly postponed," the BBC reports. Among the reasons given for the long delay: Cuba's prolonged economic crisis. On the agenda for April: The economic crisis. Nov. 4, 2010: To some, money is a sign of success. But in Cuba, it can mean a police interrogation, journalist Ivan Garcia writes. A friend told him to stow his trash in clear plastic bags so informants wouldn't see evidence of what he buys. Oct. 27, 2010 10:36 AM ET: Some 65,000 scorpions live on more than a dozen breeding farms in Cuba. Workers zap the creatures with electricity to extract their venom. 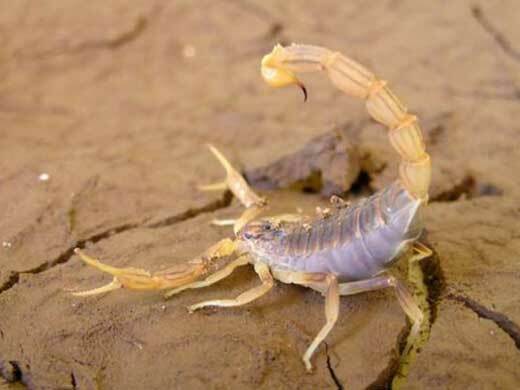 A state-run biotech firm uses the venom to produce cancer medication. Company officials announced on Oct. 25 that they expect to market a million doses by the year's end. Oct. 21, 2010 9:57 AM ET: The European Parliament has given its 2010 Sakharov Award to Cuban dissident Guillermo Fariñas. Human rights activists credit Fariñas' hunger strike earlier this year with helping trigger the release of dozens of political prisoners. Past recipients of the Sakharov award include former South African President Nelson Mandela and Burmese opposition leader Aung San Sun Kyi. Oct. 19, 2010 10:12 AM ET: Halloween is not a holiday in Cuba, but a 112-pound pumpkin is causing a stir. "People thought it was a watermelon," one newspaper said. The largest pumpkin ever: 1,469 pounds. 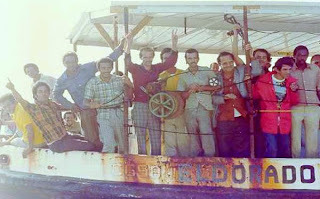 Oct. 15, 2010 12:00 PM ET: Thirty years after the Mariel Boatlift, exile Aurora Arrue recalled an event that led to the exodus: more than 10,000 Cubans jammed onto the Peruvian embassy grounds in Havana. "Some people fashioned knives out of tin. Anything was done to survive. There was too much hunger, too much anger and more than enough violence. My family of four lived on a few pieces of candy." Waiting for her in Florida: "A hamburger from McDonald's and an apple." Oct. 12, 2010 9:30 AM ET: Cuba has freed two hijackers and a lawyer accused of revealing state secrets. But 13 prisoners whose release was announced in July remain behind bars "essentially because they refuse to be banished to Spain," one blogger wrote. Oct. 11, 2010 10:43 AM ET: Cuban political activist Oswaldo Paya has started a petition drive aimed at repealing laws requiring Cubans to obtain exit visas and pay $180 to leave the country. "Why ask for permission or a letter of release to travel?" he asks. "Are we all prisoners or slaves?" Once Paya has 10,000 signatures, he plans to present them to Cuban lawmakers and ask them to change the law. Oct. 1, 2010 10:01 AM ET: Less than three percent of Cubans used the Internet during the past year, a new Cuban government survey shows. That would put Internet use in Cuba behind that of Africa, where over the past decade Internet use has climbed to more than five percent. 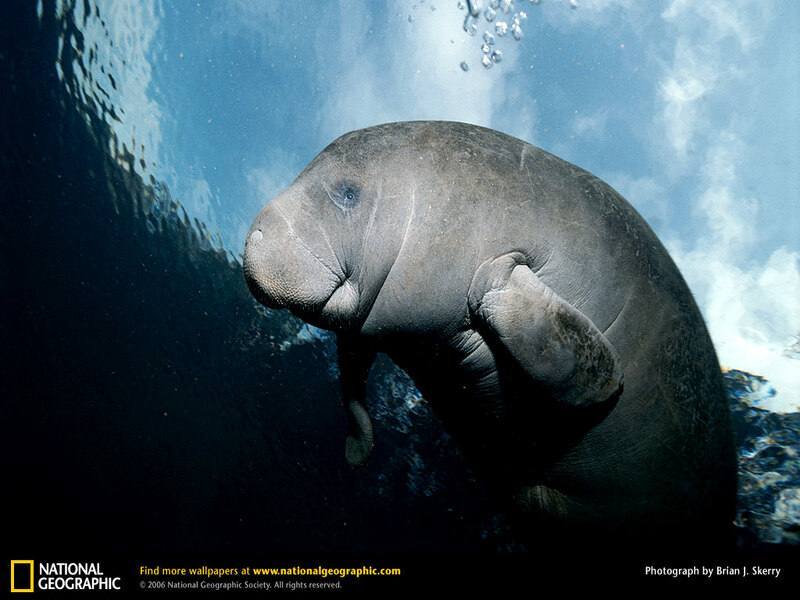 Sept. 30, 2010 11:32 AM ET: A Florida manatee and her calf have been spotted in Cuba, more than 400 miles from their usual habitat, in the first documented case of Florida-to-Cuba migration, scientists say. Sept. 28, 2010 9:35 AM ET: Aging elites in Cuba are on the defensive and are "pursuing a geopolitical zero-sum game with the U.S." while ordinary Cubans and intellectuals want reforms and, "to put it bluntly, food on the table," a Florida study says. Raul Castro may be operating under a different Cold War mindset than his brother Fidel, and may be willing or pressured to negotiate with the U.S. government, the study says. Sept. 22, 2010: Spotted in Havana: A painting of Spiderman, who exclaims, "Hurrah! We're allowed to travel to Cuba at last!" Not so fast, Spidey. A California Democrat says it's unclear there are enough votes to lift the longtime travel ban, so there may be no action on the proposal until after the November elections. Sept. 22, 2010: The Havana International Ballet Festival is set for Oct. 28 to Nov. 7. Alicia Alonso, who is 89 and almost blind, has invited Barack Obama and his family to attend, and asks the president to bring along five Cuban agents imprisoned in the U.S. since 1998. Alonso directs the Ballet Nacional de Cuba, which she founded in 1948. Sept. 17, 2010 1:41 PM ET: In July 2010 Cuba agreed to free 52 political prisoners and allow them to leave for Spain. Since then, 36 prisoners have accepted the deal, including four whose names were announced Friday. But at least a dozen prisoners have refused forced exile, including a political activist who vows to stay in Cuba if he's released, according to his wife. Sept. 15, 2010 10:31 AM ET: Two Nobel prize winners - a peace activist from Northern Ireland and a human rights defender in Argentina - have added their signatures to a letter asking President Barack Obama to pardon five Cuban agents held in U.S. prisons for 12 years, according to state-run radio in Cuba. Sept. 10, 2010 5:04 PM ET: Fidel Castro said Friday a reporter misunderstood him when he quoted the former president as saying Cuba's model "doesn't even work for us." The unexpected remark has stirred much debate in recent days. One blog asked readers if the quote was "an outburst of sincerity" or "involuntary cynicism." Most readers said it was the latter. Some analysts thought Castro was signaling impending reforms. Another had cautioned against reading too much into it. Sept. 8, 2010 1:58 PM ET: Cuba will open a nanotechnology center for Latin American scientists by the year's end, said Fidel Castro Diaz-Balart, the former Cuban president's oldest son. Diaz-Balart, a nuclear physicist, announced the plans at a technology conference in Havana that ends Sept. 10. Sept. 2, 2010 11:16 AM ET: Most Cubans depend on the black market to survive, not the state-run economy, according to a new poll. The results show that the socialist economy has failed, says the survey's coordinator, a member of the political opposition. Aug. 26, 2010 10:27 AM ET: Alan Gross, a U.S. subcontractor detained in Cuba since December, has health problems and is being treated at a hospital in Havana, New Mexico Gov. Bill Richardson told CNN. Richardson, who is in Cuba on a trade mission, said he hopes to secure the American's release. 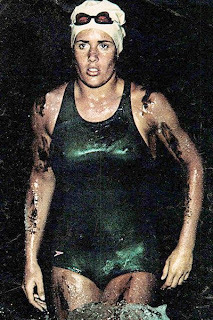 Aug. 26, 2010 10:26 AM ET: Marathon swimmer Diana Nyad wants to go to Cuba. The son of a revolutionary hero is desperate to leave. He'll evidently get his wish. But she's still waiting for a visa. July 27, 2010: Cuba will make economic reforms at its own pace without making any hasty decisions, Jose Ramon Machado Ventura, first vice president of Council of State, said on July 26, Revolution Day. President Raul Castro attended the event but did not speak. Fidel Castro, who has made six public appearances in recent weeks, did not attend, despite some speculation that he might show up. See a photo gallery here. June 28, 2010 12:25 PM ET: More than 1.2 million tourists visited Cuba during the first five months of 2010, 1.2 percent higher than the same period last year. But a drop in arrivals from Canada, England, Italy, Germany and Spain had some Cubans debating whether the Cuban peso should be devalued to help bring in more visitors. 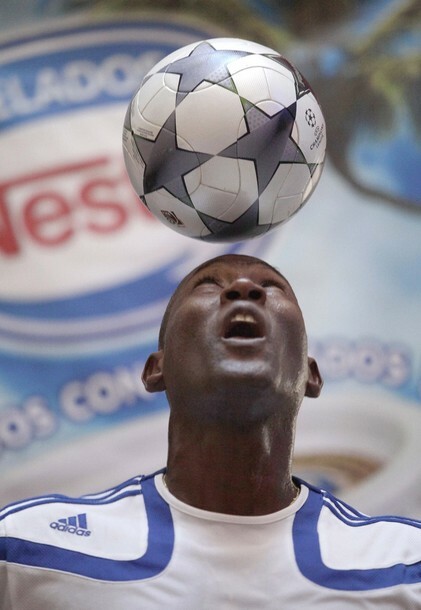 June 24, 2010 10:02 AM ET: Erick Hernandez is Cuba's soccer ball wizard. He once ran 26 miles while bouncing a ball in the air. He sprinted 100 meters in 17.83 seconds. He has even kept a ball bouncing for 19 straight hours. On July 1, he hopes to keep a ball aloft for three hours and 15 minutes while sitting on the ground. June 18, 2010 10:07 AM ET: Police have installed surveillance cameras all over Havana with unexpected results. Images from the cameras, a blogger writes, are winding up on the streets - "videos where we see ourselves committing crimes, surviving, stealing and rebelling. Minutes of police beatings, car crashes and images of prostitution...the police have given us the crudest testimony they could about our present reality." June 15, 2010 10:00 AM ET: By the end of June, Cuba could unveil a new law that would allow foreigners to own real estate surrounding golf courses, marinas and other tourist-related projects. A Miami expert on foreign investment in Cuba predicts "an unprecedented construction boom." June 7, 2010 9:40 AM ET: Shortages of rice have triggered alarm in Cuba. Police have been called in to keep order at some markets in the central town of Santa Clara, where nearly 200 people were spotted standing in line for rice. The limit: Five pounds per family. June 4, 2010 9:47 AM ET: Tourists are streaming into Cuba at a record pace. Travelers go for many reasons. An American middleweight who appeared on "The Ultimate Fighter" is there to find new ways to beat people up. "I've had a problem knocking guys out," he says. 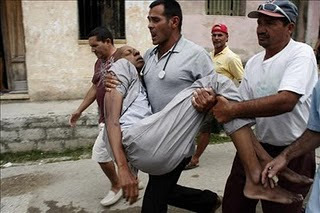 May 24, 2010 10:00 AM ET: Cuban authorities plan to move some political prisoners to jails closer to their homes this week "so the sickest among them can be tended in hospitals." A petition to free all of the prisoners has nearly 50,000 signatures. May 20, 2010 10:02 AM ET: Cuba gained its independence from Spain 108 years ago today, an event Cuban exiles plan to celebrate in Miami. But the holiday isn't observed in Cuba. Two dates are considered more important: July 26, 1953, the start of the Cuban revolution, and Jan. 1, 1959, the date of Fidel Castro's victory. May 17, 2010 10:45 AM ET: "Putting a decent meal on the table now requires the talent of a Houdini," one Cuban writer says. "Waste, theft and misappropriations" plague state-run produce markets. Private markets have a greater selection, but prices are higher. Shortages abound. Fruit is "invisible," a woman complains. May 14, 2010 10:19 AM ET: A Cuban forensic expert plans to join a mission to find the bones of a guerrilla was known as El Rubio, or The Blonde One. 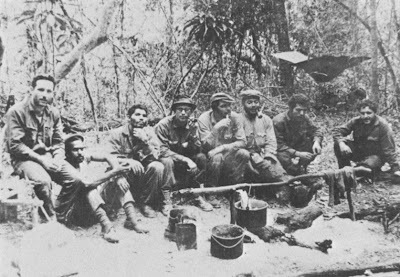 He was the first member of Guevara's band to be killed in Bolivia while trying to spread leftist rebellion in 1967, but his remains have not been found. May 10, 2010 9:49 AM ET: A showing of Pablo Picasso's "Imaginary Portraits" series, originally painted on cardboard, just ended in Holguin, Cuba. American collector Gilbert Brownstone obtained the artwork from Picasso's widow in the 1980s. He donated it to Cuba's National Museum of Fine Arts earlier this year and said he'll continue donating art for the Cuban people to see. May 6, 2010 11:22 AM ET: Cuba produced six million tons of sugar in 1959, a ton for every person. The population has since nearly doubled, but sugar production has plunged. Cuba's official press this week reported the worst sugar crop in 105 years. May 6, 2010 11:21 AM ET: There's not much of a greeting card business in Cuba, but all that changes around Mother's Day when Cubans send postcards to not just their own moms, but the mothers of friends and neighbors. Cuba's post office this year expects to deliver as many as 13 million Mother's Day postcards. May 4, 2010 10:50 AM ET: Cuba's armed forces are recruiting young people to fight dissidents and "defend the motherland," an independent journalist reports. They receive a backpack containing a green uniform, badge, handcuffs and baton. Their oath: "Attack all those who speak out against Castro's communist system." April 30, 2010 2:50 PM ET: Cuba's reputation as an open-air museum of vintage American automobiles is safe. The socialist government has repealed a short-lived law allowing Cubans to import car engines and chassis. April 24, 2010 7:08 PM ET: Municipal elections are set for Sunday in Cuba. Electoral officials plan to use more than 500 carrier pigeons to send in results from mountainous regions where there are no phones. April 20, 2010 3:57 PM ET: Newly published photos of a battered Mercedes-Benz 300SL Gullwing and other vintage cars have collectors wondering what treasures await in the musty barns and garages of Cuba. "Could one, two, or more of these cars have been the former property of Cuban dictator Fulgencio Batista?" one writer asks. April 16, 2010 12:25 PM ET: A coveted canine that traces its heritage to the now-extinct Havana Silk Dog is one of the featured attractions at a dog show now underway in Cuba. The Bichon Havanese was a lap dog of the rich in pre-Castro Cuba. April 13, 2010 10:32 AM ET: Cubans party like there's no tomorrow. A bottle of rum usually gets things going, one blogger reports. Need music? Bang a spoon on a box. Just be careful not to "throw the house out the window" (spend all your money). April 6, 2010 9:51 AM ET: A document (view it here or download here) reportedly circulating at Cuban workplaces tells employees to prevent anti-government actions "at all costs." In the event of counterrevolutionary activity, it advises: Safeguard the cash box, put out fires, tend to the wounded. Arm yourself with sticks, rods and cables. 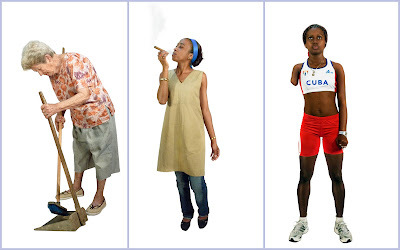 April 1, 2010 4:52 PM ET: An "anti-Barbie" photo exhibit in Havana features a cleaning lady, a woman puffing a cigar, a one-armed athlete and other Cubans who look nothing like the popular doll. The project's creators are American artist Jacqueline Hayden and Cuban filmmaker Lizette Vila. 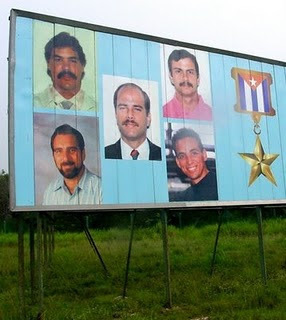 March 30, 2010 12:55 PM ET: Dissidents are trying to launch a new protest in towns across Cuba: Sunday marches marking the Feb. 23 death of hunger striker Orlando Zapata. In apparent response to the Zapata Lives initiative, Cuban police in recent days captured and released opposition members in the towns of Banes and Santa Clara. 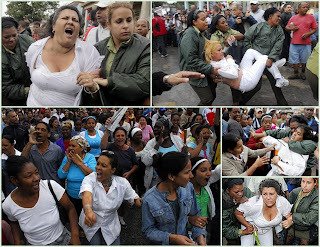 March 25, 2010 9:48 AM ET: This week Gloria Estefan and Barack Obama got behind the Ladies in White, a Cuban dissident group whose members are mostly wives, sisters and daughters of political prisoners. March 25, 2010 9:47 AM ET: Thousands of Cuban doctors work in Venezuela. Nearly 70 have died in recent years, some of them violently. One, a woman, was shot to death, on a side street called "Democracy," in a neighborhood known as the "Will of God", Venezuela's El Nacional newspaper reported. March 22, 2010 2:52 PM ET: Cuban dissident Guillermo Fariñas said a high-level official visited Sunday and asked him to end his hunger strike. Fariñas vowed not to stop until all political prisoners are freed, and said he and the official had engaged in a polite conversation about baseball. March 18, 2010 12:12 PM ET: Activists called for political freedom in Cuba on Thursday, seven years after a massive crackdown on dissidents. Unapologetic, Cuban authorities detained the wives and other relatives of political prisoners on Wednesday. Eight people reported injuries. 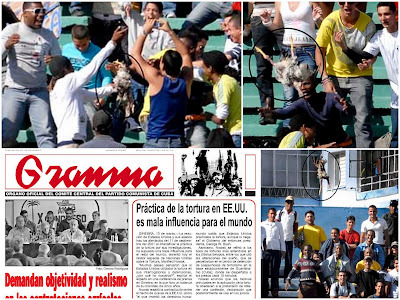 March 11, 2010 9:40 AM ET: Cuban baseball fans tormented and killed a rooster to celebrate a bases-loaded home run. That drew a complaint from Granma, the Communist Party's official newspaper, which called for sanity and said 50 years of revolution didn't teach Cubans to tear apart defenseless chickens. 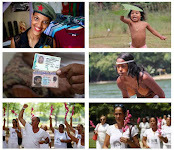 March 8, 2010 9:12 AM ET: Today is International Women's Day, a national holiday in Cuba. Some bloggers are paying tribute to dissidents, whom they call "heroines of the resistance." Others are highlighting Cuban women who support the socialist government. Feb. 26, 2010: Six Cuban activists have begun fasts or hunger strikes following the Feb. 23 death of a jailed hunger striker. They include a journalist who has gone on about 20 hunger strikes, including one to demand Internet access. Feb. 24, 2010 10:04 AM ET: A jailed Cuban activist died Tuesday after a hunger strike lasting more than 12 weeks, his mother said. She blamed Cuban authorities and called it "premeditated murder." Many of her son's supporters used Twitter to spread word of his death. Feb. 23, 2010 11:22 AM ET: Spies and state security agents star in a TV mini-series that premiers March 7 in Cuba. The eight-part documentary chronicles 638 reported attempts to kill Fidel Castro. Some 243 actors and more than 800 extras appear in the series, which took three years to make. 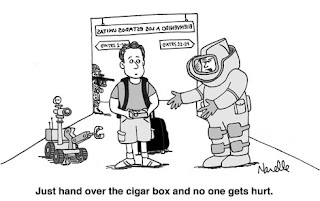 Feb. 16, 2010 3:54 PM ET: A MAD magazine illustrator who went to Cuba knew he couldn't bring back cigars, so he returned with only the empty boxes. But, according to the illustrator, the U.S. inspectors nabbed them, saying anything made in Cuba was illegal to bring back to the U.S.
Feb. 11, 2010 10:07 AM ET: The Bolshoi Ballet of Russia returns to Cuba on Feb. 13 after a 30-year absence. Cuban dancers will also perform. Their leader is Alicia Alonso, 89, a legendary figure who has kept Cuba's Ballet Nacional "alive for 50 years despite chronic money problems and a scarcity of essential supplies. 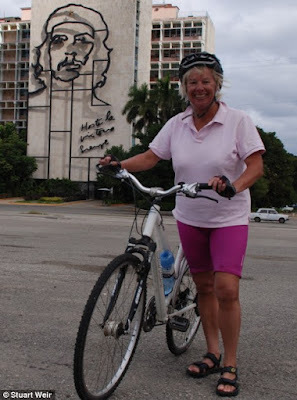 Feb. 9, 2010 12:47 PM ET: Margaret Thatcher's only daughter tours Cuba by bike, discovers an acute shoelace shortage and blames the "Central Ministry of Footwear Fastening Production." 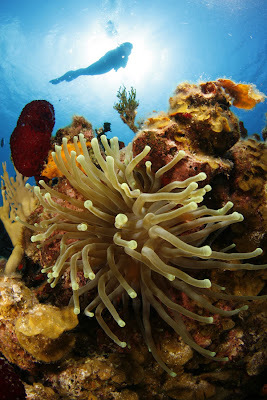 Feb. 4, 2010 12:04 PM ET: Photographers Divers from six nations will compete Feb. 15 in an underwater photography contest in Cuba. Artist Raúl Valladares created the top prize, a silver man-of-war jellyfish. Coming in April: Underwater rugby and hockey. Feb. 2, 2010 11:59 AM ET: The White House budget unveiled Monday requests $20 million "to promote self-determined democracy in Cuba." 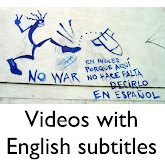 Officials also want to continue funding TV Marti even though it reaches less than 2 percent of viewers in Cuba. The U.S. government-financed station "has been on the air nearly 20 years and has no audience in Cuba," according to the Cuban Triangle blog. Jan. 28, 2010 11:22 AM ET: Cuban independence hero Jose Marti was born 157 years ago today. 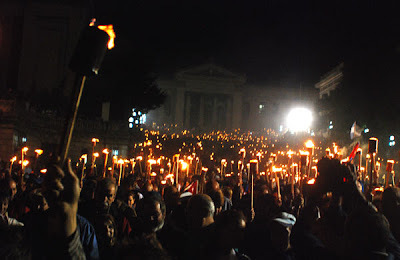 At midnight Wednesday, students in Havana carried torches to mark the anniversary. Fidel Castro - and people who want him gone - often quote Marti when defending their ideals. Jan. 26, 2010 9:52 AM ET: The U.S. government's democracy programs for Cuba are "all but paralyzed." Non-governmental groups that distribute U.S. aid to Cuba say they are running out of funds. 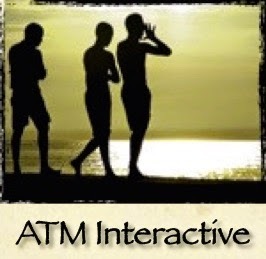 Their money problems began even before the Dec. 4 arrest of an American subcontractor in Havana. Jan. 22, 2010 11:08 AM ET: Municipal elections in Cuba are set for April. Training for elections workers began today as government supporters touted their "socialist democracy." An opposition party that hopes to field candidates reported "harassment, coercion and repression" from "political police." Jan. 19, 2010 12:20 PM EST: For years, many Cuban parents have invented names for their children, creating such masterpieces as Vicyohandi, Yuriorkis and Yampier. But one Cuban blogger reports, "Sanity has returned to the act of naming children." Jan. 14, 2010 10:59 AM EST: The Revolution is coming. It's a rock festival planned for Jan. 16 to 17 in Guanajay, Cuba. At least one band won't be attending. Some Cuban officials still view rock music with suspicion. Jan. 11, 2010 10:35 AM EST: A 22-year-old pitching sensation who throws a 102-mile-per-hour fastball has agreed to join the Cincinnati Reds. 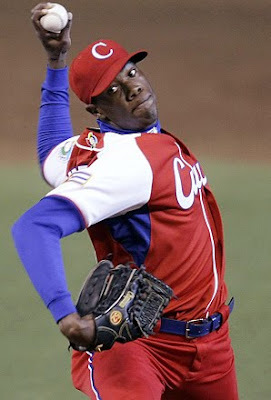 Aroldis Chapman left Cuba in July 2009 even after President Raul Castro summoned him and purportedly urged him to stay. His Reds contract is worth up to $30 million. Jan. 7, 2010 11:19 AM EST: Remarkably cold temperatures, including some record lows, swept through Cuba overnight. 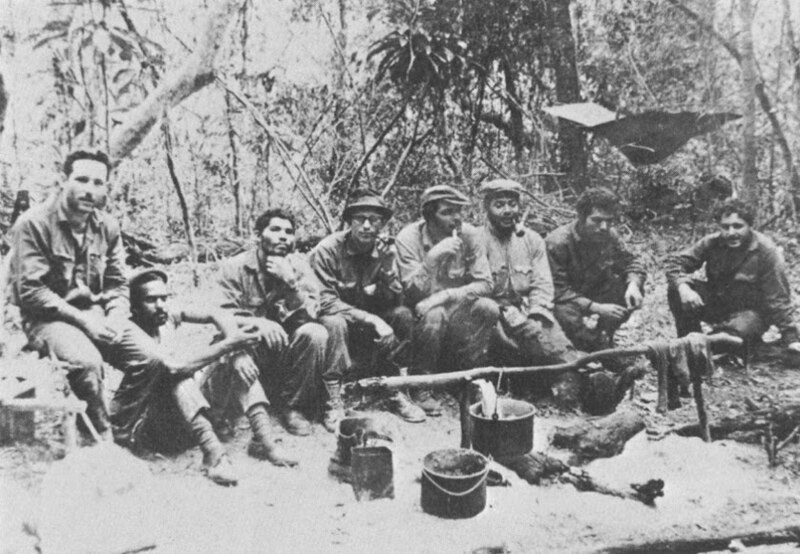 The coldest spot was Playa Girón, a Bay of Pigs landing site in 1961. The temperature there: 40 degrees Fahrenheit.